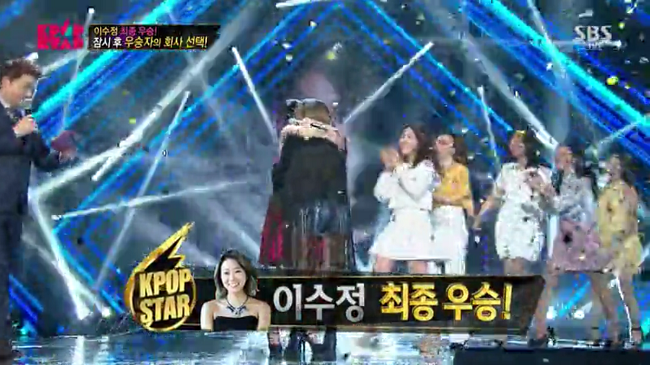 K-Pop Star 5 Episode 21: THE FINALE! Finale time! Who’s going to come out on top? Lee Soo Jung or An Ye Eun? This song was waaaaayyyy better than last week’s. It was so cool. Everything about it was cool. The background, the dancers, the song, and even though I didn’t understand the lyrics word for word, it was cool. She’s just an awesome person in general! Uggh, it was so pretty. Everything, the stage, her voice, her dress. Once again, that first line of the song got me hooked. There were already tears in my eyes. Is that sad? I’m really surprised that she sang that song in a super ballad-y way with a little r&b twist in it (which I think just comes naturally with her voice). The judges were surprised that she didn’t make the song her own and thought it was kind of a missed opportunity for something great. Nevertheless, I really liked it. 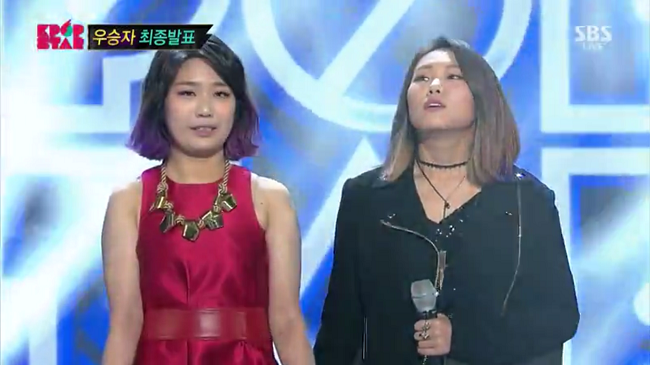 So basically, An Ye Eun has to sing a song Lee Soo Jung sang and vice versa. This is one of my favorite things they have them do in the finale. She chose “Part Time Lover” by Stevie Wonder, the song that Lee Soo Jung and Yoo Jay sang together. Once again, she was sooo cool. I loved the 007 theme and I loved how she put Korean lyrics in it. My favorite part was when she was just bangin’ on the piano. She looks like she’s just having the time of her life and I loved it! Her version went way beyond my expectations. An Ye Eun is having a great night! WHAT WAS THAT? OMG! SHE WAS SO GOOD! LIKE, WHAT?! So basically all of An Ye Eun’s songs were self-composed songs. I was like, “What is she going to do?”, I was super worried. I wondered why she chose this song and now I know. What I saw in this performance compared to other performances was that she was acting a little, with the little cute hand gestures and all. She was really into playing the main character of the song and I think that’s how she got 100s across the board (even from me). This has got to be one of the best K-Pop Star collab stages ever. They surprised everyone, even the judges. And there’s something about how the judges stood up immediately and gave respect to her, Yoon Bok Hui, the whole time and it warmed my heart. She chooses Antenna, which I think is a very good choice for her. The face of a winner, lol. Well, that’s it ladies and gentlemen. I hope you enjoyed watching this season of K-Pop Star as much as I did. I can’t wait to see what Yoo Hee Yeol and Antenna will produce for Lee Soo Jung. Considering how freakin’ good Sam Kim’s debut album is, I know she’s in good hands :).